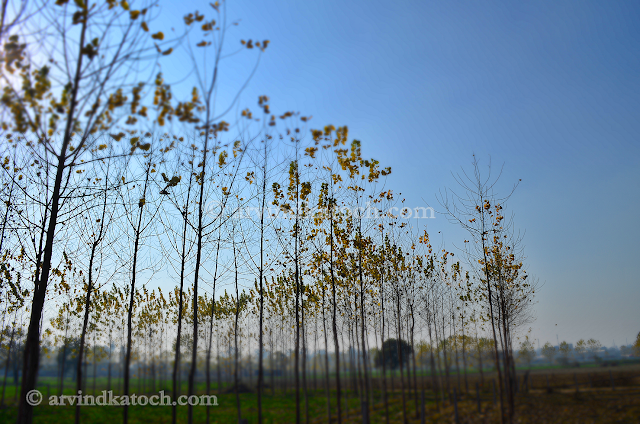 Till the year end, 50 feet high trees used to welcome you on the Roopnagar-Balachaur National Highway. Now, these trees have become past because 24,777 of such trees were uprooted to widen the Bist Doab Canal. Many of these tall trees were there for more than 50 years. You can imagine the size of tree by seeing the picture of one of the uprooted big stumps of Safeda tree. It is an irony of our system which give no importance to these old creatures which are providing fresh air to us free of cost. Beautiful Picture of Trees grown in Line. In this picture, you can find effect of leaves and no leaves. 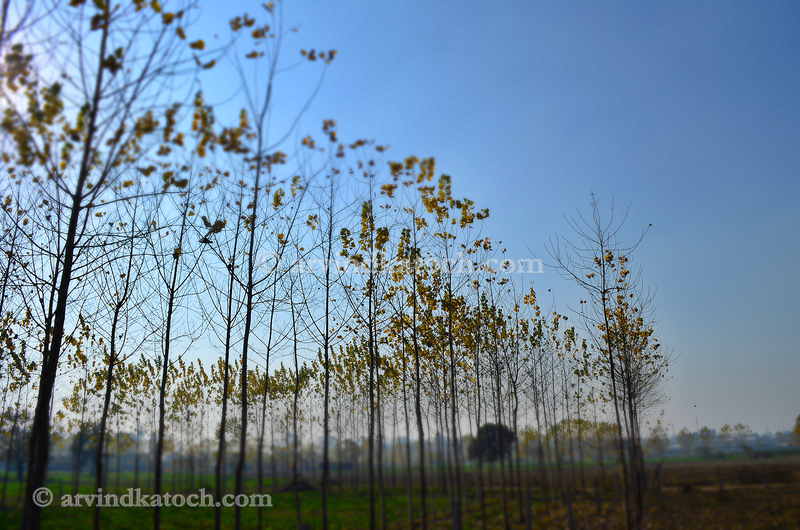 This picture is taken near Ropar (Punja) with Nikon D 5100.